Kelowna & Okanagan's Plumbing & HVAC Experts | Vision Mechanical Ltd.
We're ready to say goodbye to winter, are you? We’re a family run business committed to providing quality work, great pricing, and unmatched customer service. Repairs, new designs, re-designs, and more. 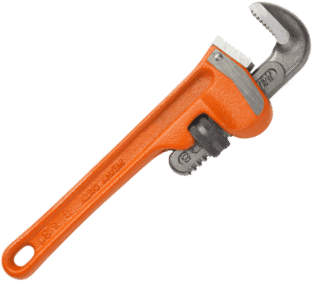 We’ll bring you fast, reliable, quality plumbing solutions and services. When faced with a plumbing emergency, you can count on us. We can help alleviate the stress and avoid further complications. When the time comes to install a new water heater in Kelowna, we will help supply, install and maintain it over the years. Vision Mechanical brings the expertise and experience necessary to partner with a broad spectrum of industries. Our vision is your safety, comfort and satisfaction. We offer the Kelowna plumbing services and solutions you need now. To ensure piece of mind amongst all our customers we always back up our work with a guarantee. We are Kelowna HVAC specialists, providing repairs, installations, yearly service contracts, and much much more! Maintaining your furnace and fireplace in Kelowna is an inexpensive way to safeguard your family’s health. 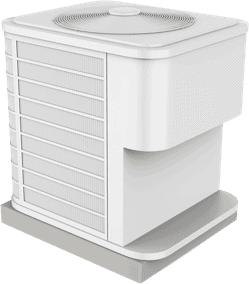 Our technicians can handle all aspects of your a/c needs, from installation to repairs. We do HVAC service work for Property Management Companies and Restoration Companies in Kelowna. Our Okanagan summers are warm and our winters are chilly. That means you need reliable heating & cooling. Let Vision Mechanical serve your comfort and safety year round with our Kelowna heating & cooling systems. 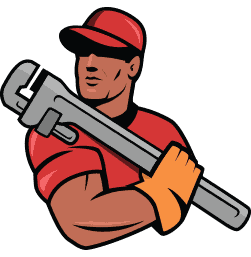 From installations, repairs, and maintenance, Vision Mechanical is your full service Kelowna plumbing, heating, and cooling company. We offer great pricing, and only send certified professionals to your door. Committed to excellence and unparalleled Kelowna plumbing, heating and cooling expertise. Affordable advice, planning, and service by experienced experts, our work is always guaranteed. Specializing in furnaces, fireplaces, heat pumps, in-floor heating, air conditioning, and gas issues. We have partnered with Financeit available to offer you a flexible monthly payment plan. We are repeat customers of Vision Mechanical and their service again has been top notch. The quote, follow through and finished products have been seamless. We have appreciated the communication throughout. A small case in point... when the city inspector had a question about the installation, the Vision Mechanical staff took the phone call immediately. We'd recommend them in a heartbeat. Installed a new hot water tank, humidifier on the furnace and new faucet in the kitchen. Great service as always. Thanks to Steve Justin and James - you guys are awesome!! Very knowledgeable and excellent service! The best, most honest plumbing and heating folks in the valley. They were creative and helpful at solving my problem. STRONGLY recommend Vision Mechanical!!! Wasn't actually a customer but perhaps wish I was. Vision provided the time and expertise to advise on a previous job by another service. Based on the reviews I see below and even my brief experience, I see why their service is well liked. Customer service seems to be quite important to them considering I wasn't even a customer. I called Vision on the Sunday night, my hot water tank died after a good life. Reception was so efficient. I sent photos and they arrived with everything they needed and I had a new tank being put in by 9am. Hot water 4 hours later.The guys were respectful and tidy. Thanks so much you guys!!!!! Excellent service across the board. When I called to set up our appointment the receptionist was warm and friendly. Upon arrival and throughout service Jeff (the tech) was very thorough and helpful in explaining exactly what he was doing to get our furnace up and running again. 10/10 would recommend! Thank you Vision Mechanical! Vision has solutions and services that are right for you. Please call 250-470-9552 for help now. For other questions, please submit the form below and we’ll be in touch as soon as we can.